Jeffrey Kaden - Gottlieb, Rackman & Reisman, P.C. Jeffrey Kaden focuses his practice on patent prosecution and due diligence, as well as in all areas of intellectual property litigation. Mr. Kaden also provides high-level client counseling relating to the procurement and enforcement of patents, both domestic and abroad, as well as trademarks and copyrights. Mr. Kaden is particularly knowledgeable about design patent practice, including the standards for filing and successful prosecution as well as the legal issues pertaining to invalidity and infringement. For well over 30 years, Mr. Kaden has advised a wide range of high-tech and soft goods clients on both U.S. and foreign intellectual property matters. He is licensed before the U.S. Patent and Trademark Office and has appeared on behalf of his clients in numerous federal court and administrative proceedings. His areas of technical expertise include chemical and biomedical products as well as medical technology, including organic chemistry, biomaterials, and biomechanics. While an undergraduate at Johns Hopkins majoring in biomedical engineering, Mr. Kaden was a research fellow at Hopkins’ renowned University Hospital and Medical Center. Mr. Kaden is regular contributor to trade and industry publications and is frequent CLE lecturer. He is currently the firm’s managing attorney. Outside of work, Mr. Kaden has been and continues to be involved in many community organizations. Mr. Kaden previously served on his synagogue’s men’s club executive board and is currently secretary of the board of the Plainview Mid-Island Y JCC. He is also a past member of the board of the Johns Hopkins University Hillel. When not practicing intellectual property law, Mr. Kaden enjoys biking and swimming as well as an early morning round of golf. 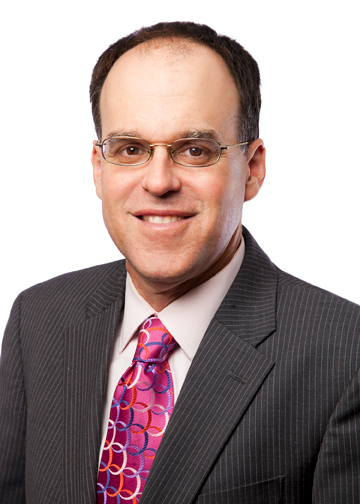 Jeffrey Kaden Presented the CLE Course "Introduction to the U.S. Design Patent Law"